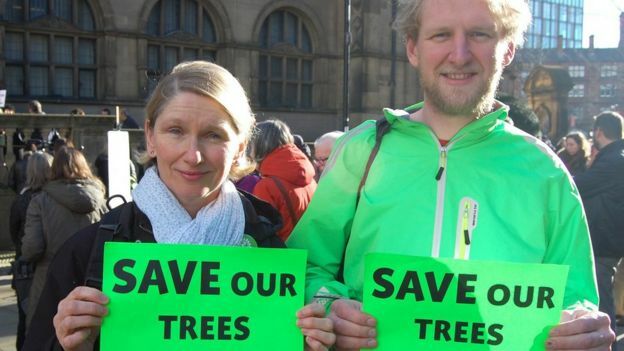 Sheffield City Council has agreed to suspend their request for a temporary injunction preventing tree protestors taking direct action to stop felling. 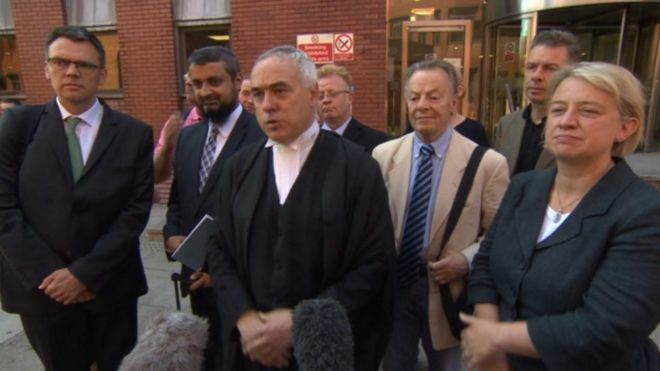 Instead, a full three day hearing will take place at Leeds High Court from 26 to 28 July. Pending the hearing, no further action will be taken against eight named campaigners and “unnamed people” who stop trees being cut down. Both parties said they were “very pleased” with the outcome. Nether Edge Green Party councillor, Alison Teal, was one of those served with a legal notice in June. Outside court barrister John Cooper QC for the tree group said: “My clients came here to stop the interim injunctions. “The important thing for them was to have a full hearing so the important issues for a lot of people who live in Sheffield are articulated, argued, developed and challenged. 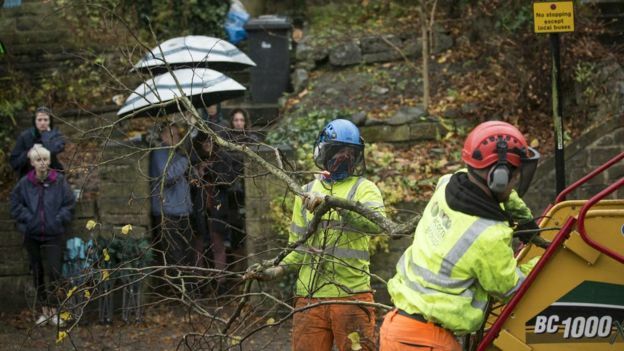 Fourteen protestors were arrested between November and March for preventing tree fellings. The Crown Prosecution Service dropped charges in March because of insufficient evidence and protestors have continued to prevent fellings by standing under trees. 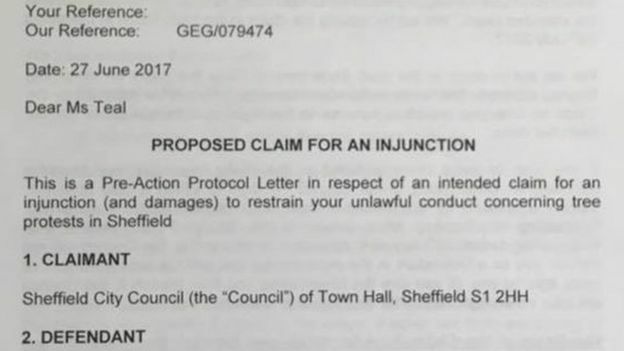 In June, the council applied to the civil court for an injunction to stop the direct action. Both parties agreed to return to court for a three-day hearing when a judge will hear each case and decide once and for all. If the council is successful, the eight protestors plus “unnamed people”, will be banned from taking direct action or encouraging others to do the same. If the tree protestors are successful, it is probable that recent actions to oppose fellings will continue and STAG hopes that the City Council will be willing to start proper discussions about how to bring an end to this costly and damaging dispute.. The tree protestors said they were “extremely pleased” by the withdrawal of the temporary injunction. The group said waiting longer for a full hearing would mean many trees would be felled before they had a chance to put their case. Paul Billington of Sheffield City Council said it was a “very good result”. “We’re really pleased with the outcome today because we get a full trial much earlier than we thought, and we’re confident about the outcome. “We’ll continue to do our best with what we believe to be a lawful tree replacement programme.